Freedom to enjoy your favorite beer — that's Wes Chesbro's (D — North Coast) vision of California. He's calling for Gov. Jerry Brown to end the persecution against owners of growlers — those 64-ounce beer bottles — who just want a refill. Growlers are an increasingly popular way to get fresh-brewed craft beer home. Even in the North Coast's burgeoning brewery market, some beermakers decline to bottle their specialty beers (or any of it), meaning the only way to enjoy it is in a glass, on the town. Resealable growlers give tipplers the ability to bring those suds home, or to the neighbor's barbecue. 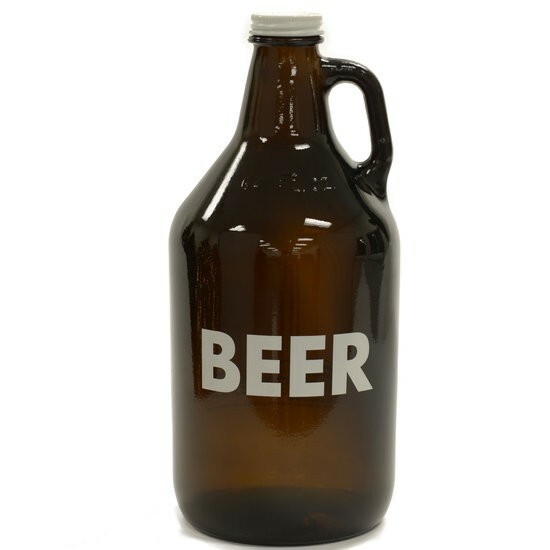 Growlers have been around, but confusing alcohol laws prohibited a brewery from filling a growler unless it was permanently branded with that brewery's label. The legislation Chesbro is championing (beer, apparently, is a unifying force, as the bill was co-authored by Republican State Senator Steve Knight) would make it OK for brewers to fill any growler, as long as the now-laden vessel was properly labeled and showed no signs of its former contents. It seems hard to imagine that the one-two political punch of calls for "beer!" and "freedom!" would fall on deaf ears in the Capitol, even if the Governor is more inclined to butterbeer. SACRAMENTO – A bill by Assemblymember Wesley Chesbro (D – North Coast) to give craft beer aficionados more freedom to enjoy their favorite brews awaits Gov. Jerry Brown’s signature after it won final approval from the Legislature today. If signed, AB 647 will establish clear labeling guidelines for breweries who wish to refill consumers’ “growlers,” glass containers that typically hold four pints of beer, that were purchased elsewhere. AB 647 clarifies the labeling requirements for the reuse of growlers. These requirements include identification of the brewery and the name of the beer. The new label must cover all information related to other breweries or beer that was previously in the growler. AB 647 also addresses the abuse of the statutory definition of “beer manufacturer” by entities that do not possess or use facilities or equipment to actually manufacture beer and clarifies the law relating to trade show tastings.